This amazing outdoor kitchen cabinet installation in Melbourne is simply stunning. 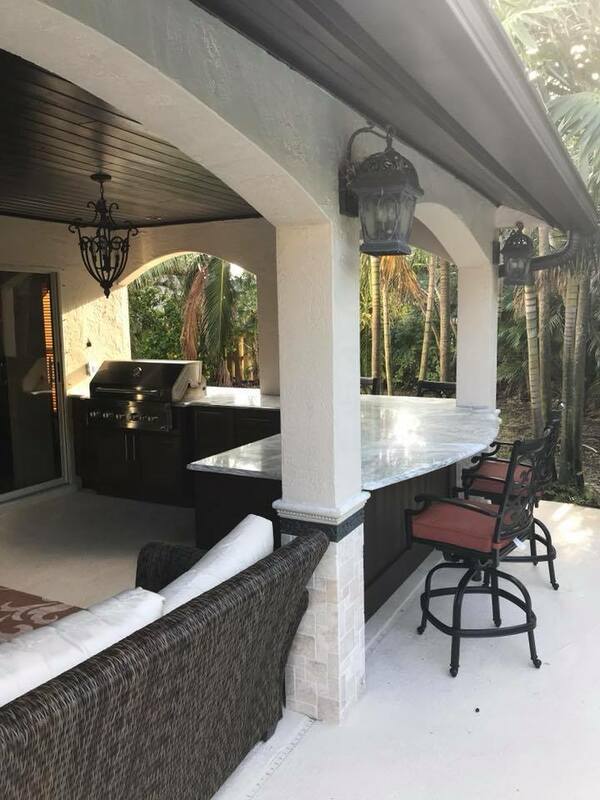 We use 100% weatherproof outdoor kitchen cabinets from NaturKast that can withstand all the water and heat that a Brevard summer can throw at it. 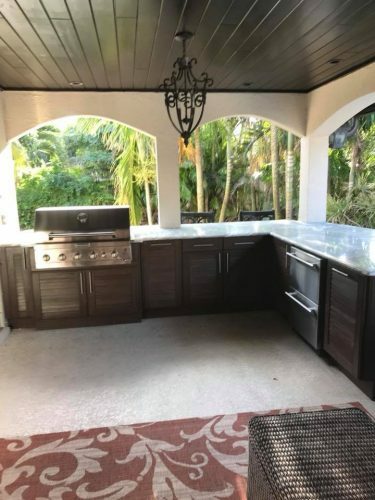 These outdoor kitchen cabinets can be easily cleaned by hosing them down because they are 100% waterproof and will not warp or deteriorate like a typical wooden cabinet. 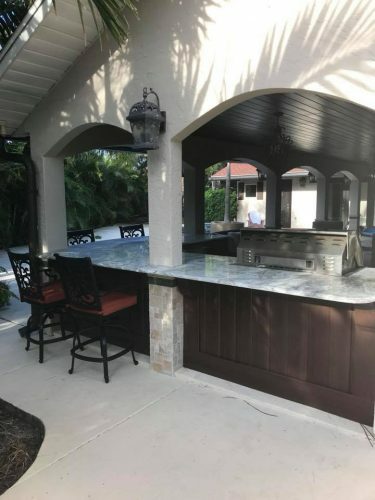 These outdoor kitchen cabinets come in a huge variety of colors and designs so we can easily match them up to any style outdoor area that you are trying to achieve. We pair these beautiful outdoor kitchen cabinets with some wonderful quartz countertops to offset the dark wood color of the outdoor kitchen cabinets. 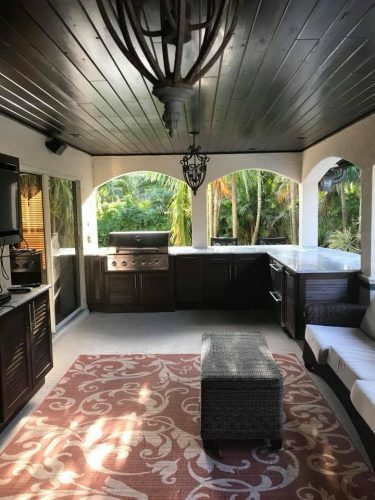 The mixture of the dark cabinets and the light natural quartz stone countertops really makes this outdoor summer kitchen pop. 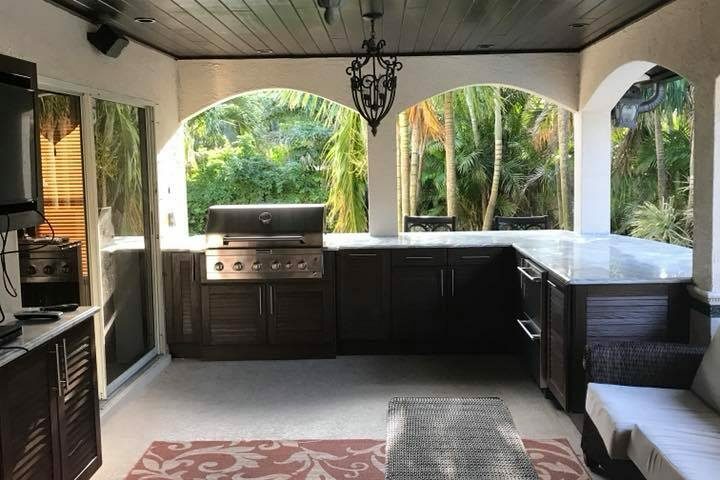 If you are looking to create a warm and inviting place to spend time outdoors with your family and friends consider building an outdoor summer kitchen using our 100% weatherproof kitchen cabinets from NaturKast. We can help you design the outdoor area you are dreaming of and make it come to life. 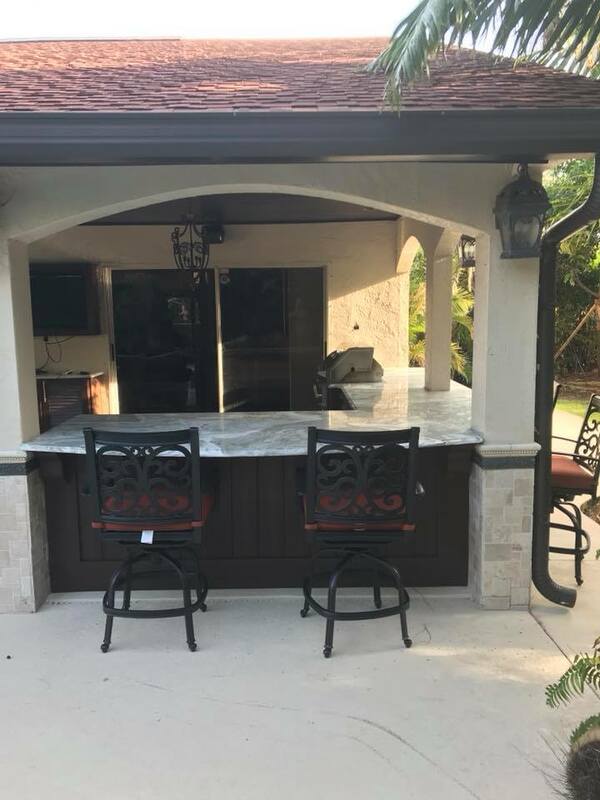 We also are unique that we are the only cabinet installation and sales company in Brevard, Indian River, St. Lucie and Martin County that owns and operates our own granite countertop facility. Have have access to thousands of slabs of natural stone and can cut anything to fit your exact specifications. 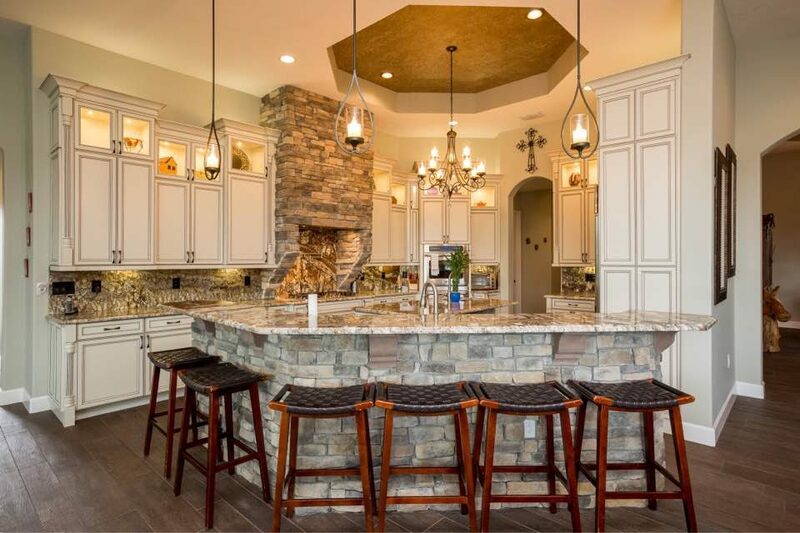 Having a company that can handle your kitchen cabinet and countertop needs all in one will make sure your kitchen installation will go smooth and be done right. Give us a call at 321-802-4645 or send us an email to set up a consultation to discuss your kitchen cabinet and countertop needs.